Killer Biggs! 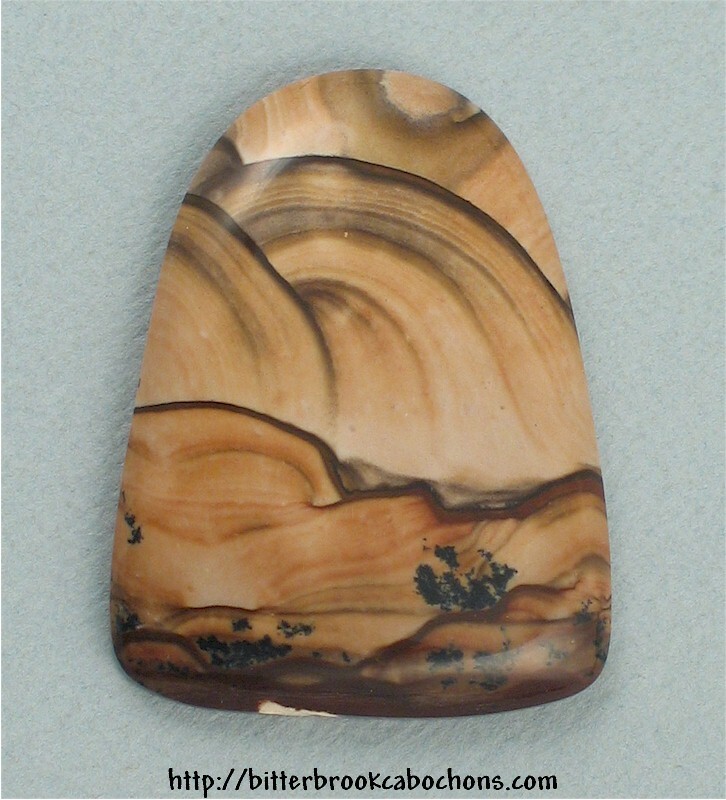 Sharp contrasts, distinctive shape, and cool patterns make this Biggs Canyon Jasper cabochon a knockout. I see trees along the rim of a canyon, with chocolate rainbows in a sunlit sky. I ended up keeping this one for myself. 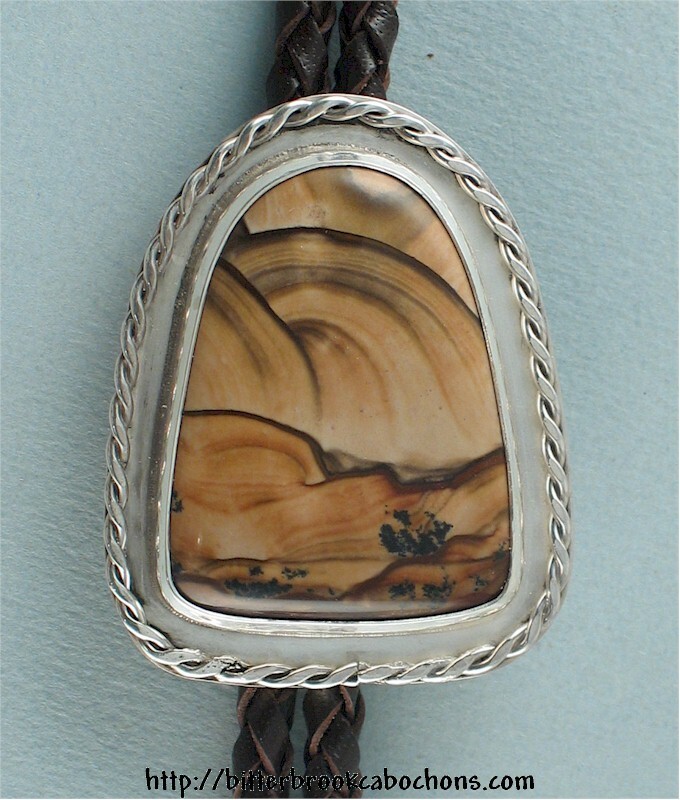 Took it to Silver class and made a bola tie with it; you can see it by clicking here! Dimensions: 40mm x 31mm x 6mm. Weight: 61.00 carats.